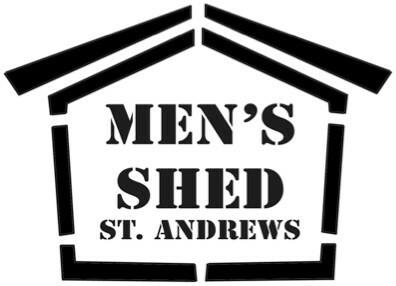 Men of all ages are invited to come along and see what the Men’s Shed is all about, take part in the shed activities, or just sit around and have a chat. Come along at 9am on Wednesdays or 7pm on Thursdays and get involved. Mark Lewis was appointed as Nillumbik Shire Council Project Officer in March 2012 and a steering group of Tony Barbeta, Daryl Brooke, Tony Whalan, Jeff Drummond, Michael Aldred, Brian Stamps and Colin Buckler was established later that month. In August 2013 the first Committee was elected with Tony Barbeta as President. The shed became incorporated in 2014. Working with artist Shane McGrath using steambending of timber for a sculpture - now installed outside the shed. Building nestboxes for phascogale and sugar gliders for Landcare and Nillumbik Shire Council and St Andrews Primary School. Youth mentoring in conjunction with Nillumbik Community Health - this was established at the shed and has now been endorsed by the Australian Men’s Shed Association for nationwide adoption by other sheds. Theatre set construction for youth theatre productions. Individual projects have also been carried out according to the interests of members - any member with a project can seek help from other members. Such projects have included carpentry, furniture restoration and small engine repairs. ​Membership is open to any men in St Andrews and surrounding areas. The annual fee has been set at $50 per year, payable 1 January each year. The membership fee provides for insurance for all members and visitors. People interested in joining are invited to attend for up to a month without payment to see if it suits them. The committee has the discretion to reduce or waive fees for those with financial hardship. There is a sign-in book for members and visitors, with induction being required for all in attendance. ​​All new members are required to undergo a brief induction into the safety procedures used in the Shed. Visitors will also have an abbreviated induction process. All committee members are funded for training in first aid. A first aider is present at all shed sessions and is also responsible for opening and closing the shed.